First Friday! 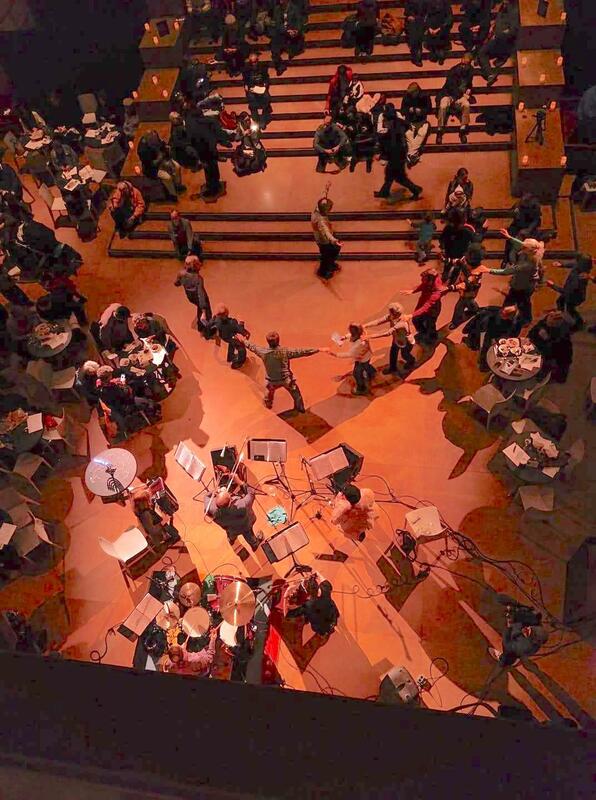 is a monthly music program at the Barnes Foundation featuring a wide range of musical traditions including - but not limited to- jazz, classical, funk and folk music. The evening includes access to Painting Is Dead and the collection as well as a cash bar and lite fare for purchase. 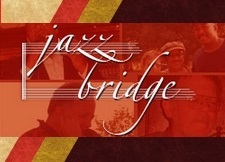 Philadelphia Jazz Project is once again thrilled to participate as part of the Barnes Foundation’s First Friday! concert series presenting Dan Blacksberg & Frielachs Music. 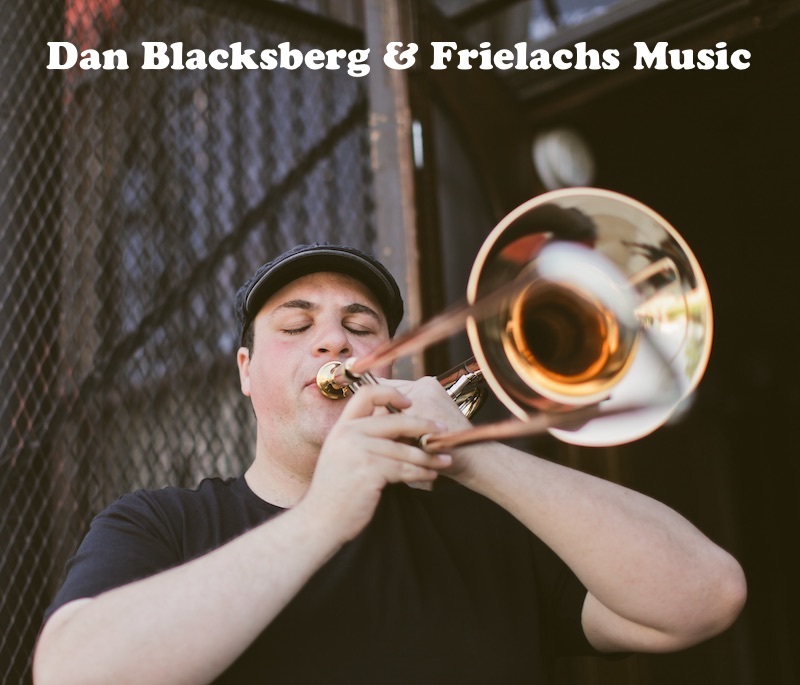 Philadelphia trombonist and bandleader Dan Blacksberg's group Frielachs Music will bring a program of klezmer music spanning from the old world to our world. Featuring a band of internationally renowned klezmer stars such as Philly's own klezmer trumpet legend, Susan Watts, Freilachs Music reaches back into the traditional sounds of the music from it's origins in Eastern Europe and pushes forward with the most cutting edge sounds of the music as it exists today in the US and all over the world. Klezmer music, celebratory music of the Eastern European Ashekanzi Jewish people, has gone through radical changes since its emergence from a community and ritual music to the global music it is today. Since this transition began in the 1970s, the music has expanded from the catering hall to the concert hall. It has gone from Yiddish-speaking shtetls of Eastern Europe and Jewish neighborhoods in early 20th century America to spread across the world. Philadelphia itself has a deep klezmer tradition to share, from the recordings of the Harry Kandel Orchestra in the 1920s, to work of the pioneering klezmer drummer Elaine Hoffman-Watts over the last 30 years, to Dan Blacksberg and Susan Watts' work today. Come get a taste of the whole range of this history; past, present and glimpses at the future. From the landmark experimental music venue Roulette to the Krakow Jewish Culture Festival, Philadelphia-native Dan Blacksberg has created a singular musical voice as a trombonist, composer, and educator. Acknowledged as the foremost practitioner of klezmer trombone in its traditional and modern forms and a respected voice in experimental music, Blacksberg is known for a formidable virtuosity and extreme versatility. It is not unusual to see Dan Blacksberg switch back and forth from traditional klezmer, straight ahead jazz, experimental new music, heavy metal, or even country on his trombone in the course of a few days of performing. This has led to Blacksberg's performances with artists such klezmer masters Elaine Hoffman Watts, Adrienne Cooper, Michael Winograd and Frank London to experimentalists like George Lewis, Anthony Braxton, and extreme doom metal band, The Body, to being a featured jazz soloist with the Chamber Orchestra of Philadelphia. Described by Bandcamp Daily as “a maestro who effortlessly hops between—and, ultimately, deconstructs—genres with abandon,” Dan Blacksberg’s musical vision has led him to compose music with a wide reach. From writing danceable klezmer melodies on his most recent album "Radiant Others" – the first klezmer album to feature the trombone as the lead instrument – to the free-jazz of the Dan Blacksberg Trio, to genre-busting projects like his Hasidic doom metal band Deveykus and 2017 suite, "Together in Struggle", Blacksberg forges music with a voice that “aims to infuse the fearless avant-garde with timeless sounds and techniques, and vice versa.” (WXPN’s The Key) Blacksberg is in high demand as a teacher at many of the leading klezmer festivals such as Klezkamp, Klezkanada, and Yiddish Summer Weimar. He has given workshops and master classes at the University of Pennsylvania, Temple University, Yale University, and the University of Virginia, where he an artist in residence. He is currently the Klezmer musician in Residence at Kol Tzedek Synagogue in West Philadelphia. Awarded a Pew Fellowship in the Arts in 2012, Dan Blacksberg has also received grants from the American Composers Forum Philadelphia Chapter and was a 2014 composer fellow at the UCross Foundation. 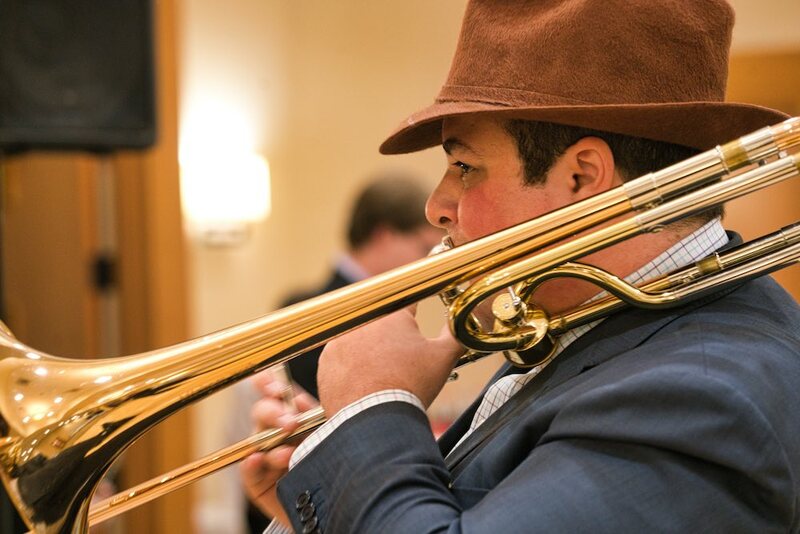 PJP spoke with trombonist Dan Blacksberg and Klezmer music and the upcoming concert. PJP: Can you briefly describe your musical background and the intersection of your faith and the music? Dan Blacksberg: My musical background is rather eclectic. As a kid, I gravitated towards any opportunity to play my trombone: jazz, classical, and whatever else was thrown at me. As I’ve gotten older, I’ve settled into two primary musical paths: jazz and related creative music, and klezmer (Jewish music with roots in Eastern European Jewry). I settled into these musical worlds because I feel that within them, I can have a clear musical identity in a way that is served by my original eclecticism and demands I keep my ears wide open. Being Jewish, particularly as a white Jewish man of Eastern European background, is a funny equation. Jewish – it’s a religion, it’s an ethnicity, it’s a culture, it’s different foods (which of course are different depending on which corner of the Jewish world one is from!). To call what I do an intersection of my faith and my music doesn’t exactly cover all the complexities of the situation. I am not a religious person, but I am hugely influenced by Jewish religious music and have worked to incorporate the sounds, styles, and forms of that music into my own work. Being Jewish and being a Jewish musician in the 21st century US is in large part about grappling with this question. PJP: What is Klezmer music and why is it important? Dan Blacksberg: Klezmer music is the name we use to describe a wide variety of Jewish music that has its origins in the communities of Jews who lived in Eastern Europe. At its most specific, it means instrumental dance music played for personal and community celebrations: weddings, b’nei mitzvot (coming of age rituals), and other community events. Since people started using this name in the 1970s (before that, people who had it in their communities might just call it “Jewish music”) the definition has expanded to often include Yiddish folk and popular song, and even religious music from certain Eastern European traditions. While the roots of this music are back in the “old country” the music has a strong history in the US, where Eastern European Jewish immigrants arrival starting primarily in the 1880s coincided with the rise of modern American music, and especially by the 1920s, with jazz. Many famous composers of tin pan alley and other sources of jazz standards (Irving Berlin, Gershwin, Benny Goodman) emerged from this immigrant experience, though it should be said few of these people had backgrounds in what we’d now call klezmer music. Still, it forms a potent mix of ingredients in the American music story. Klezmer is important because it is the musical expression of my people from inside our culture/religion/ethnicity. I was listening to the radio the other day and heard New Yorker Staff writer Doreen St. Felix say, “A subjugated people needs to have its history in order to assert its identity in the present,” in talking about the desires of the founders of Black History Month. This struck me as the exact reason why I am so invested in this music. In the wake of WWII, white, Eastern European Jews gave up on much of our culture in our version of what Pastor Michael McBride calls “Reaching for Whiteness.” While we can’t dismantle all of the mess just by listening to music, I believe that bringing klezmer to other Jews of similar backgrounds and sharing it with people from different backgrounds can connect and help fuel the hard work we’ve all got in ahead. PJP: Who is working with you on this concert? Dan Blacksberg: For this concert, I’ll be working with a few great musicians who make up my group Frielachs Music. 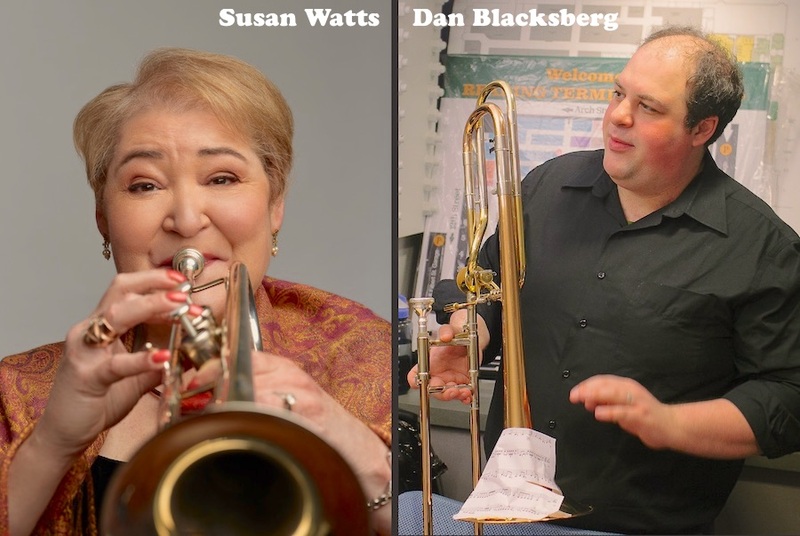 1st, we’ve got Philly’s own klezmer trumpet and singer legend Susan Watts, who brings the power and depth of four generations of klezmer dynasty in the old world and in Philadelphia. Her most recent project is Soul Songs: Inspiring Women of Klezmer, a multi-media production of all new music written by the most amazing women in klezmer today. Joining me on accordion will be Rob Curto. 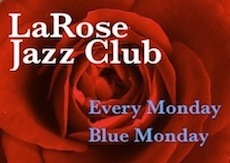 Rob is veteran jazz and klezmer musician and an expert on Brazilian forró. He leads the bands Matuto and Fish Harmonics, and has performed with Lila Downs and Frank London. And on drums, Dave Licht. A founding member of the Grammy award-winning Klezmatics, Dave remains one of the leading klezmer drummers in the world. Audiences can expect a concert of melody-driven music that often packs a pretty strong emotional punch with a very small amount of music. And they might want to think about bringing their dancing shoes.